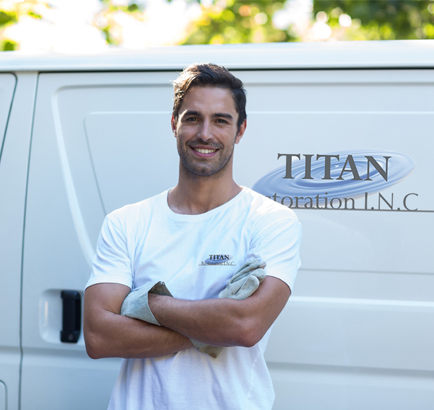 Titan Restoration is a professional Cleaning, Water Damage Restoration and Mold Remediation company, proudly serving homeowners throughout all of South Florida. With technicians located in Miami-Dade, Broward, Palm Beach, St. Lucie, Martin, Lee, Collier and Monroe Counties, we can be onsite within 45 minutes of your call in an emergency water cleanup situation. Great service begins and ends with experienced and friendly professionals, which is why we put so much consideration into selecting the best people to join our team. We aim to not only meet your needs, but also exceed your expectations of what a dependable cleaning and restoration company can - and should - be. For your convenience, we deal directly with your homeowners insurance to cover costs and expenses related to bringing your home back to pre-loss condition. We have a great working relationship with all of the homeowners insurance companies in South Florida, and we strive to make your situation easier. In almost all cases of water damage, the homeowner never has to pay anything out of pocket. Call 954-280-6950 for 24/7 emergency service, or contact us for a free estimate for scheduled services.